Qontract is a management support system for measuring and controlling the quality performance of Manage- ment/Service contracts (relating to outsourcing management contractors and suppliers of services). It is a con- tract performance management me- thodology for quantifying contractor performance versus required service level and link to contractual clauses. 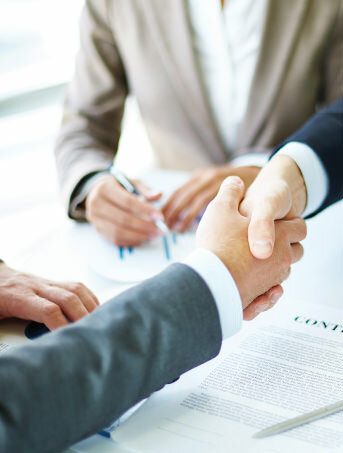 Qontract is applicable for Management/ Service Contracts that foresee service provision with qualitative criteria in the Scope of Services (service level requirements). Each contract is modelled based on a standard set of parameters, as applicable, in line with the specifics of the contract scope. Qontract yields a single performance indicator (CPI: Contract Performance Index) per contract which is associated with required performance thresholds vs contract terms, based on objective and tangible information that serves the particular needs of each contract owner. Registers contracts and associated contractors as separate monitoring system entities. Availability Compliance (SLA) or other percentile assessment (e.g. system availability) - Defines the penalty for breaching SLA or any other specific availability requirements. Registers benchmark results and produces a single CPI score per contract taking into account the above criteria. Supports attachment of multimedia files and location information, as evidence in cases of non-conformities (audit findings or ad-hoc incidents). Supports auditors by providing audit instructions. Produces a variety of reports to serve the needs of contract owners or central contract management units. Qontract aims at maximising operational performance and the quality of the service provided. It enables organisations to manage a large number of subcontractors and con- tracts and at the same time provides a tool to quantify the required level of service and to monitor the subcontractor’s performance against it. Qontract is based on a structured analysis of service level requirements (SLAs) that yields quantification of performance in an objective, data-driven manner. Quantification of the required service level. Common language with contractors on the attainment of required performance through regular monitoring and reporting. Connection of performance evaluation with contract terms, such as penalty and termination clauses. Flexible management of the quality vs. cost balance. Clear and measurable service performance requirements. Accumulation of objective supplier rating data for future evaluation. Operational cost reduction through vendor effectiveness evaluation. Address: Athens International Airport S.A.